We are all aware of the sacrifices our veterans make every day, and the effects their jobs have on their minds and bodies. Although awareness of things like PTSD and how to cope with life after combat have improved over the years, we still lose 22 veterans a day to suicide. Yoga has played a large part in helping veterans find healing. Although most veterans with posttraumatic stress disorder (PTSD) will struggle daily, many have found relief through yoga. As a yoga instructor and Marine Corps wife, I see first hand how yoga’s ability to calm the mind and relax the practitioner can help veterans cope. Military veterans under the age of 30 are three times more likely to commit suicide. Many veterans suffer from severe depression, anxiety and military sexual trauma (MST). About 20% of Iraq and Afghanistan veterans suffer from PTSD and about 19% suffer traumatic brain injury (TBI). Often times, veterans do not report their symptoms and never seek help or therapy. Those who do seek help are met with many prescription drugs and difficult experiences with Veteran’s Affairs. Some veterans are left feeling helpless, alone and unable to cope. Thankfully, many have found an alternative way to deal with the pain – yoga. I am so grateful for those who invited yoga into our veteran’s lives and their healing process. Thousands of veterans are now able to sit on their yoga mat and find a calm mind to work toward healing their mental and physical wounds. Yoga is a great tool for veterans to learn how to live and cope with their mental suffering, as yoga invites the practitioner to be more in-tune with their body. When someone experiences trauma, they will most likely disassociate from their body and try to bury the pain. So when the veteran is ready, yoga welcomes them to once again become aware of themselves and eventually their negative thoughts, habits and patterns. Once vets are in touch with the source of their pain, healing can begin. Most of a veteran’s military career is being taught to conquer everything, push yourself to your breaking point, follow someone else’s orders, and to adapt and overcome. When a veteran returns to civilian life, removing this mentality and training is not easy. Yoga may be the only thing inviting them to let go, to remove the barriers and to be open both mentally and physically. Asana practice may be humbling since many poses cannot be “muscled” into. 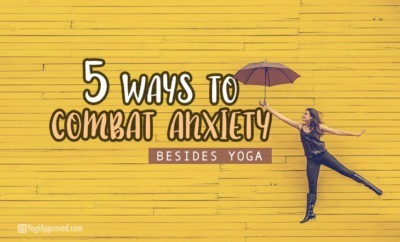 We tend to hold a lot of our emotions in our physical body and many poses require us to work through those emotions first – before we are open to the asana. Meditation requires stillness and self-reflection, which often shows our vulnerability . . . something a service member is trained not to have, but needs in order to once again find love for themselves. If you have not met Dan Nevins yet, check out his amazing story and see the healing and power yoga can bring to those who need it most. Yoga helped Dan discover he is still strong, and capable of anything – despite becoming a double amputee. He is now a well known veteran-turned-yoga-teacher and continues to inspire more than just his fellow veterans. Many veterans would not benefit from a regular yoga class, which has created a need for specialized yoga for veterans. Many of the instructors like Dan are veterans leading fellow veterans through a yoga practice focusing on trauma relief and meditation. More veterans are making their way onto their yoga mats and meditation cushions thanks to so many of these programs. Veterans are also finding ways to share mindfulness with each other off the mat . . . meet Chris Eder. 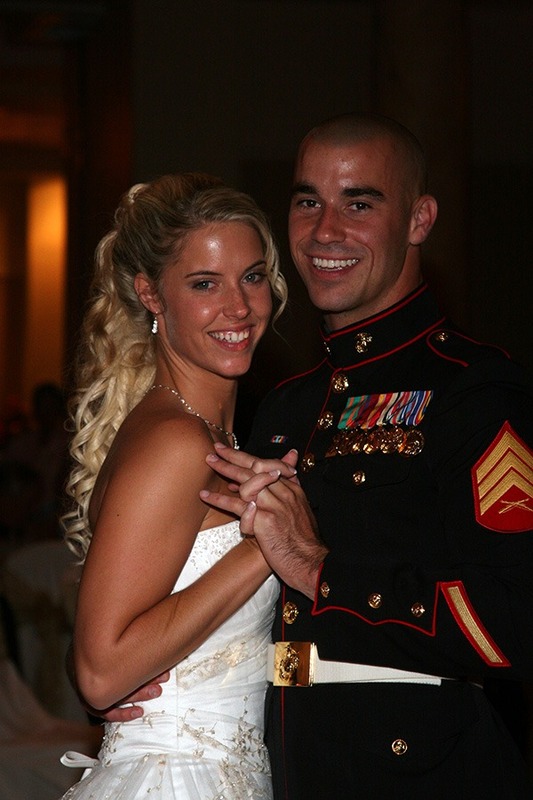 Chris is a retired US Air Force MSgt, yoga instructor and founder of MalaforVets. Chris knows exactly what it is like to live with PTSD and how yoga can help. Chris served multiple deployments in Iraq in 2003 and one during the “Surge of Operations” where he faced many insurgent attacks. 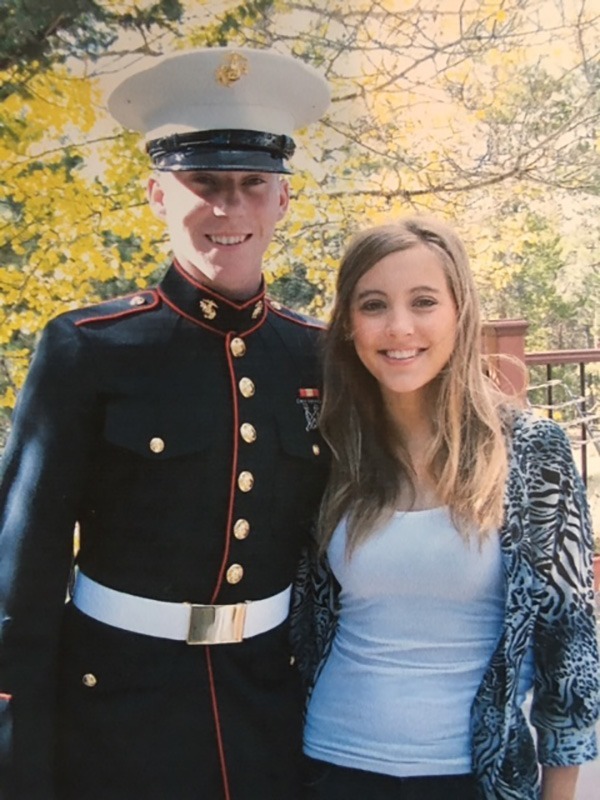 Upon returning home with PTSD, Chris was unable to sleep, faced panic attacks and like many others, he found the transition back home difficult. He credits yoga and breathwork with his healing and learned a lot from the Mindful Yoga Therapy program (listed below). Christ began MalaforVets as a Seva (being of service) Project to raise funds for veteran programs. He often employs veterans to help create the mala jewelry, since many find the process extremely meditative. Chris is a true advocate for veterans and helping them find healing through yoga. He has given lectures, presentations and supports many veteran programs. If you wish to support Chris’s Seva Project, check out MalasforVets.org. One of my favorite programs is Mindful Yoga Therapy (MYT), founded by yoga teacher Suzanne Manafort. MYT focuses on the nervous system to heal through yoga with practices like yoga nidra, meditation and breathwork. In efforts to help all veterans – especially those who are hesitant to start a yoga practice or cannot get to a class – MYT created, “Breathe In, Breathe Out” which is available as a free download containing breathing exercises and a guided meditation specifically for veterans. Want more information about MYT and their veteran programs? 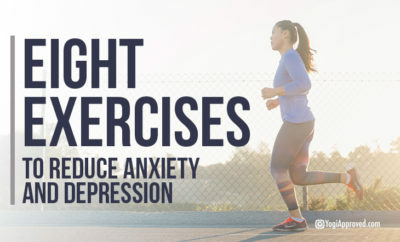 Check out MindfulYogaTherapy.org. The Veterans Yoga Project (VYP) is dedicated to the recovery and wellbeing of veterans and their families by offering classes, yoga therapy programs, support, and healing retreats for veterans. The healing retreats offer a therapeutic atmosphere for veterans coping with PTSD and their family members. Veterans emerge with a better awareness of their mental health, strategies to reintegrate to civilian life, tools to continue their yoga practice and a solid support system of veterans and veteran programs. Want more information about VYP and their veterans programs? Check out VeteransYogaProject.org. Part of the Give Back Yoga Project (which works to bring yoga to our veterans), the Yoga Readiness Initiative provides yoga and resources to our active military and their families. The Yoga Readiness Initiative provides free yoga kits to our military all around the globe with the hope of helping them cope and find peace through yoga. 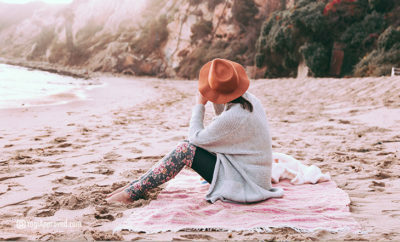 Each Yoga Readiness Kit includes a yoga mat, yoga props, practice guides to explain the asana and meditation as well as digital resources offering free online streaming of guided meditations and breathwork. Want more information about the Yoga Readiness Initiative? Check out YogaReadinessInitiative.org. 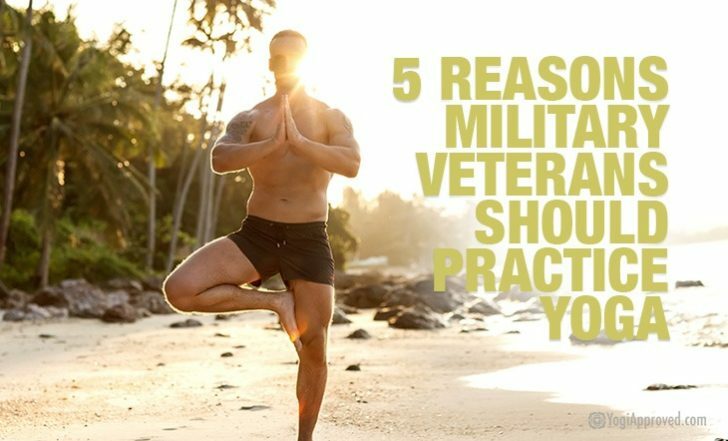 The YogiApproved.com community is honored to spotlight veterans, and we are very grateful yoga has been able to help many find healing. We want to take a moment and extend our sincere love, gratitude and support for all of the active duty, reserve duty, inactive and retired servicemen and servicewomen. If you have a veteran you would like to honor, feel free to share in the comments below. We also want to take an opportunity to share and thank the veterans that are part of the YogiApproved family. This article has been read 580 times. Share it and spread the love! More active duty military and military veterans are practicing yoga than ever before. 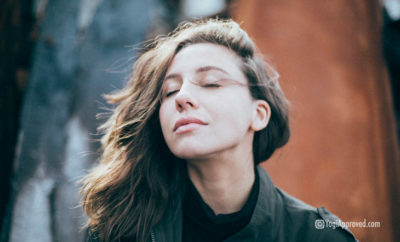 In fact, According to the Integrative Restoration Institute, Yoga Nidra was endorsed by the US Army Surgeon General and Defense Centers of Excellence as a Complementary and Alternative Medicine (CAM) for active duty military members and veterans.